Dimensions 0.25 by 5.25 by 6.75 in. A timely intervention on climate change from the internationally acclaimed scientist and author of the hugely influential The Weather Makers. How close is the great climate crisis? Can our desire to overcome it drive humanity's next great waves of positive technological economic and social revolution? Or will we be plunged into the dystopian collapses and terrors of civilizations past? 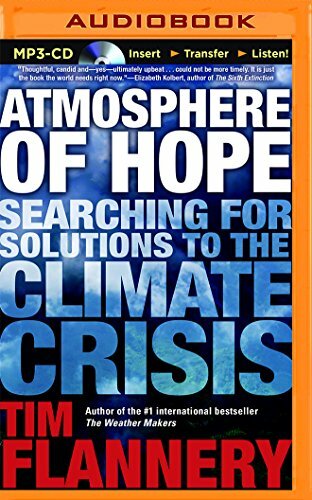 This book describes in plain terms our climate predicament and brings news of exciting tools in the making that could help us avoid a climatic disaster. In December 2015 the nations of the world will gather in Paris to try to forge a climate treaty designed to give us a fighting chance to limit global warming to 2Â°C, widely regarded as the safe upper limit if we are to avoid catastrophe. If we succeed at Paris, forging a new era of international political cooperation in the fight against a warming planet, it is possible that the next decade will astonish us in the solutions that we discover to safeguard our planet for our grandchildren and their grandchildren. About: Leading scientist and climate writer Tim Flannery's #1 international bestseller, The Weather Makers, was one of the first books to break the topic of climate change out into the general conversation. About: A timely intervention on climate change from the internationally acclaimed scientist and author of the hugely influential The Weather Makers.